Hiring? Toptal handpicks top wireframing experts to suit your needs. Imagine this situation: You are working on a new website and in the process of creating the wireframes. In your review meetings, you receive feedback from your client and team, prefacing the inevitable generation of change requests, suggested improvements, and updates. After several review meetings, you feel as if you are caught in an endless loop—changes are being made and reversed, your client’s demand for more features seems to go on forever, and coming to an agreement seems impossible. Or, perhaps, the opposite occurs—you present your wireframes, everyone is nodding their heads in agreement, and the wireframes are good to go to the next stage. But, as the work progresses, you realize that it doesn’t reflect your intention—more features are being crammed in and the flow feels off. What happened? The answer is simple: miscommunication. One of our main communication tools as UX designers is wireframes—the black and white “blueprints” that make us the architects of web design. Although wireframes lack the colorful details of visual design, they are the basis for product design, just as architectural plans are the basis for a building’s final construction. Wireframes are more than a static map. Using the analogy of a house, they don’t just show one room, but rather the whole house and all the different ways a user can move around it. They also include the interior, defining the main purpose for each room. 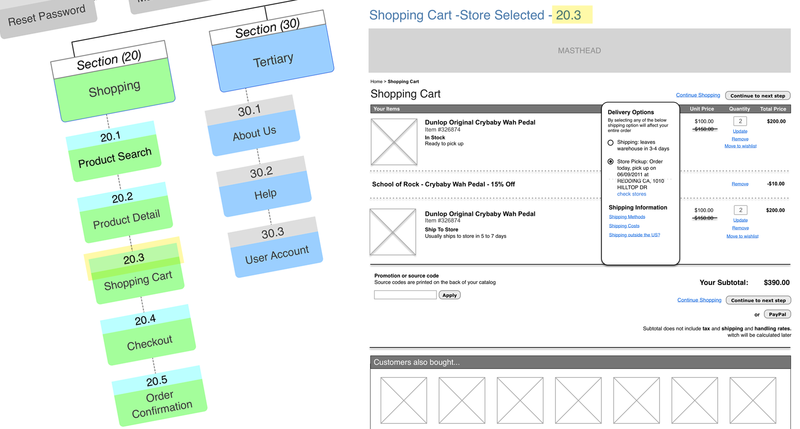 Further, wireframes show more than just rooms. They help plan journeys and define the experience a visitor will have on a stroll through the house. You can use wireframes for many things, and it’s many things your team and client will need to understand as a project evolves. Part of a UX designer’s job is to be a translator, ensuring that everyone involved understands the intended vision. So how do you communicate the user journey? How can you map out the user experience in a way that is easy to read so your team and your client can visualize it? How can you make sure the journey remains a simple one and offers all the necessary elements for each room without creating frustrating barriers? Here is a helpful tool for communicating and organizing your wireframes more effectively: a wireframe map. A wireframe map is a way to match your wireframes to the sitemap of your website (or your product’s user flows). 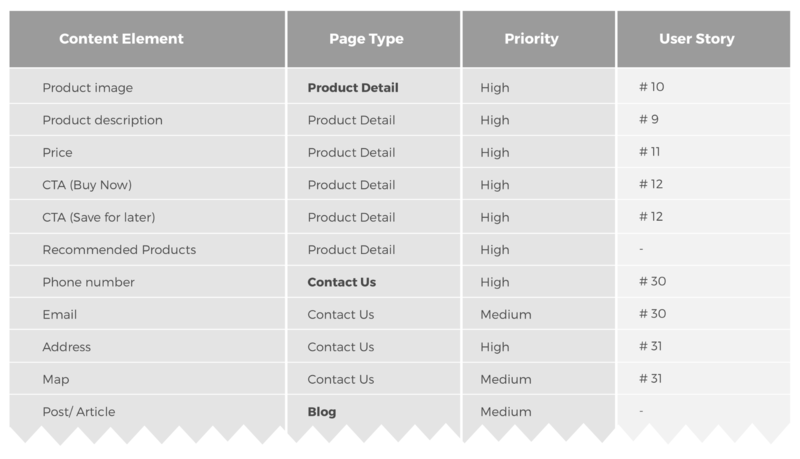 For this mapping process, you need wireframe templates that represent a specific page type (e.g., form page vs. landing page vs. product listing page vs. product detail page). It’s like deciding the purpose of each room in a house first, which then determines the elements within each room. A template would be a bathroom with a toilet and a sink as common content elements. How Do You Create a Wireframe Map? There are three steps involved in creating a wireframe map. Before you start diving into wireframes, it is helpful to think about all the different pieces that need to live on a wireframe—like the items you want to have in each room in order to decide how big your room should be. For an e-commerce site the examples could be: search bar, product filtering, product description, product image, price, quantity selector, ‘add to cart’ button, recommended products, shopping cart icon… User stories can be helpful as you are considering the necessary UI components. Start to list all the content elements (components) you can think of—think about the functionality you want to offer in order to help the user journey along and fulfill business requirements. Add another column for page type (e.g., product detail page, shopping cart, landing page, etc.) to cluster your content elements. In a third column, rank your content items by importance (i.e., low, medium, high). The content list also comes in handy during any discussion regarding requirements. You can easily identify which content elements you agreed upon and what additional elements are being requested and considered as a change request. You have the content elements you need to provide and grouped them into pages. Let’s look at an overview by laying them out. How are they interconnected? How does a user navigate through them to accomplish his goals? 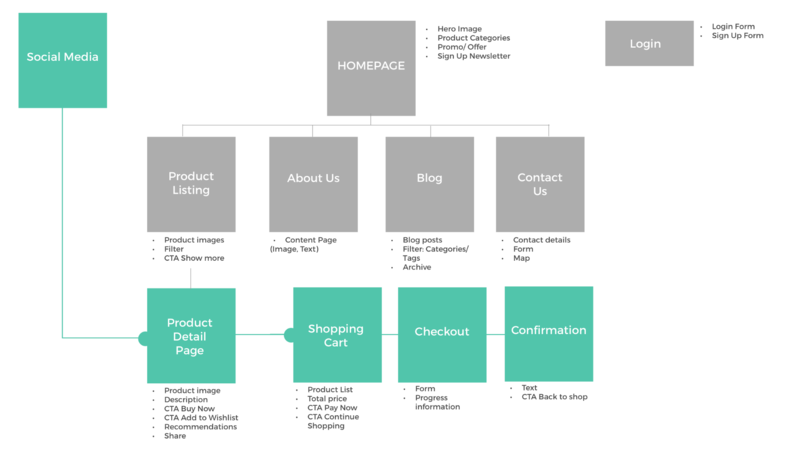 Sitemap: Shows an overview of all the pages and their hierarchy. User flows: Visualizes how pages are interconnected for key use case scenarios. 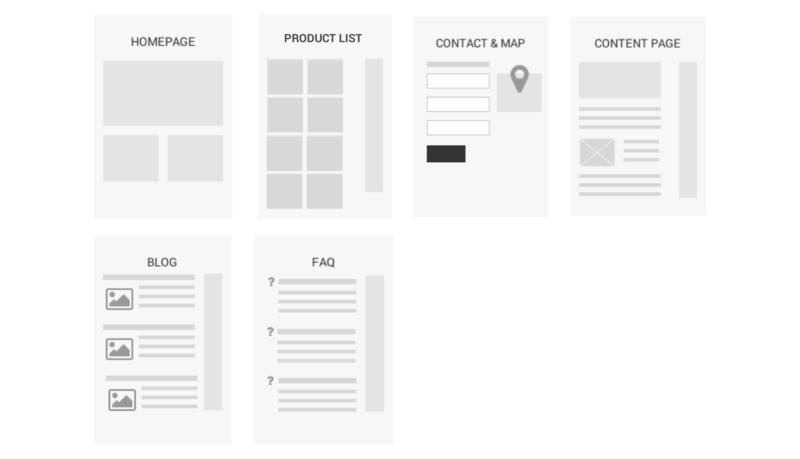 Now that you know what content you need to provide, on which pages to provide them, and how they are connected, you can start to work on your wireframes. If you encounter minor variations for certain templates (e.g. a content page with a slider in the header vs. without) then work on master pages and leave out such minor variations. 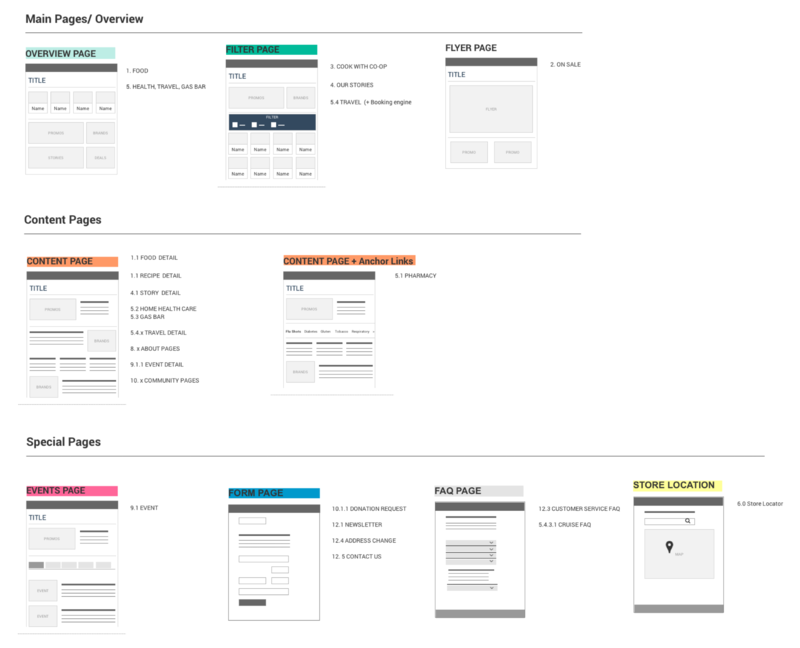 Your wireframes should include all the main components that would live on this master page template. Now map your wireframes to the sitemap and user flows—you can update your sitemap with wireframe thumbnails for each page type. Color-coding or numbering will keep things in sync, help give a better overview and help clients understand what wireframes they need. An example of a wireframe template map. 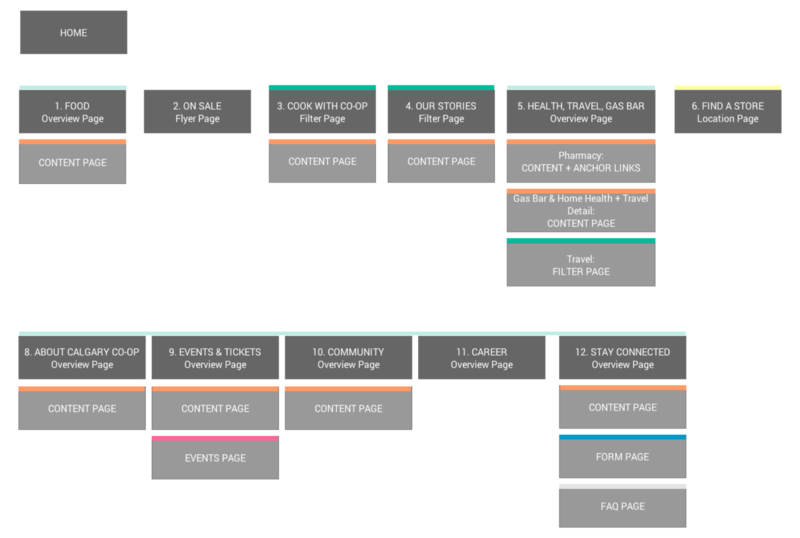 The sitemap is on the left and the wireframes are on the right with corresponding color codes. Why is this mapping process helpful? It is a great tool to use when creating a project’s high-level overview. Instead of just looking at stand-alone wireframes page by page, the wireframe map will allow you and your team to look at the wireframes in context. Where do the users come from? Where do they go next? To go back to the house analogy—it’s the floor plan you create in order to visualize the structure of the house, consequently moving on to look at the first renderings of each room (which are the wireframes for each page template), and then on to sharing the final outcome and overall vision. They will help with project cost and time estimation as well as reduce inefficiencies. They will help track your tasks (work completed vs. work still on the backlog). They will help you better communicate the purpose and objective of your wireframes during reviews (how wireframes are being used for the project overall). A wireframe map is a helpful tool for estimating the scope of work at the outset of a project, and as a checklist throughout your working process. It will help improve your team’s decision-making process, keep everyone on the same page, and periodically refocus them on the project’s high-level overview. Happy mapping! Great post - thanks for sharing your process. Can you share which tools you are using these days to create your artifacts? Hi, I started using Visio, probably 16 years ago to build wireframe maps, then switching to Omnigraffle when on a Mac. I have since found Excel to be even better than both(and cross platform too). I have YouTube videos to show you how to use Excel just do a search for 'Cross platform wireframes, screen flows' to see pt1. If it's what you are looking for you can watch the others. Amazing Ron, Something new on an easily available MSEXCEL. I skip creating wire frames for any pages/posts or the whole website. Just create them on the fly in WPBeaverBuilder (design plugin). You start at top of the page, drag/drop the ROW and Number of Cells you want. Drag/drop the width of the cells as you wish and change it if you need to as well. Add, delete Cells as you go. Make a mistake? Then drag/drop new row and cells above-below as you choose. And you can always drag and drop anything already done to any other location on the page you wish. This whole fuss with wire framing pages/posts beforehand goes out the window. AND you can save a cell or a row to use elsewhere on the site as well. You can have that saved row/cell/module saved as a one-off or as a global situation in which if you change any instance of the global row/cell/module and it changes throughout every situation in which it was placed as a global instance. There is no need to create a page/post/site wire frame plan at all. And therefore, you don't get stuck with some plan that then has to be changed. I believe you are dragging PRINT constraints to your website/webpage/post design and getting stuck with old approach. If you create a page/post design/wire frame you want to use repeatedly, then save it as template and use instantaneously on a new page - and then modify it on new page/post if you wish as well. WPBeaver Builder is game changer and well worth your investigating.. It is https://www.wpbeaverbuilder.com/ - 500,000 installs and growing all the time. Frauke is a UX Designer with a background in psychology and a focus on user research (understanding the target group, their needs, and current behavior), information architecture (structuring content and processes), and interaction design (visualizing interactions in the form of sketches, wireframes, and prototypes).